That’s cute. But I trust you see why it’s completely different from what Rachel was doing. Rachel was saying that “Happy Holidays” does not equal persecution. Similarly, I’m saying that criticism (even extended criticism) does not equal crucifixion. 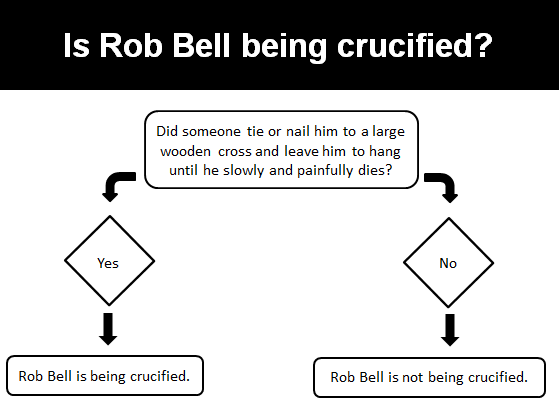 Also, it allows me to dismiss Relevant’s “What the Continued Crucifying Of Rob Bell Says About Modern Christianity” article without actually having to engage its content.